Désiré is a model reproducing the authentic work over-trousers of the 20th century, which were worn large over normal clothes and didn’t hinder movement. It has now been reinvented and can be worn with or without braces. 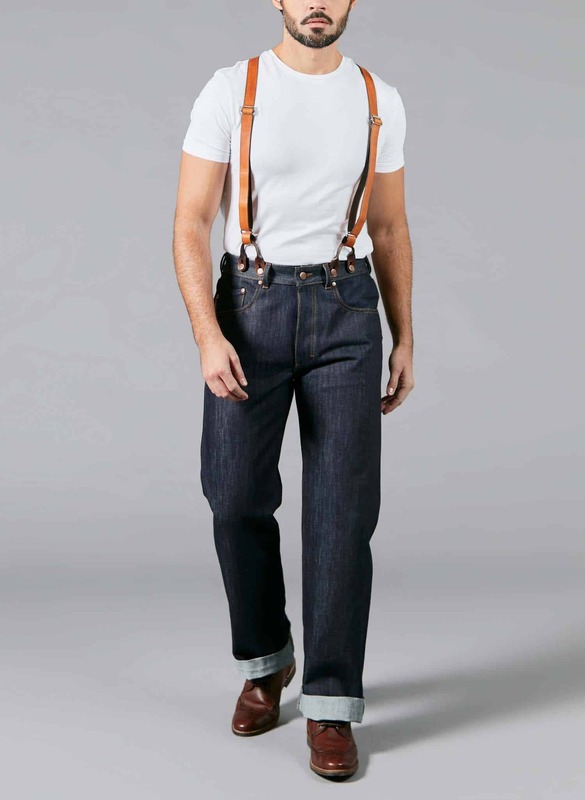 For this model in its Tailleur range, Atelier Tuffery has chosen some of the finest – and rare – materials: a particularly thick artisanal selvedge fabric, a vegetable tanned genuine leather jacron label and copper press studs.